I am pleased that a scholar of Professor Tribe’s distinction should come to the defense of our Constitution. Yet, as I pointed out in an earlier post, Professor Tribe is of the school of legal jurisprudence which allows the Supreme Court to effectively revise the Constitution to adapt it to changing circumstances. Professor Seidman’s argument that we must abandon constitutional strictures in order to assure a fresh political conversation is the logical extension of Professor Tribe’s own philosophy. If the Supreme Court is not obligated to respect the original written Constitution, why should anyone else be? The Wall Street Journal and Megyn Kelly have asked Professor Seidman the obvious question: why he did not look to amending the Constitution rather than abandoning it altogether? He rejected this approach because the amendment process is too “arduous.” (The link is to a report in the ABA Journal because the Wall Street Journal site is restricted.) He has a point in that our Constitution is currently the most difficult in the world to amend. However, if Professor Seidman finds the amendment process too arduous, isn’t the better solution to reform the amendment process to make it less arduous? A re-invigorated amendment process would provide an orderly method to incorporate the democratic debate Professor Seidman professes to favor without the risks of justifying a free-for-all of constitutional disobedience (“constitutional disobedience” is the name of his forthcoming book). One suspects though that his critique, which goes back at least to Woodrow Wilson, is really about supplying a rationale for members of the ruling elite like Professor Seidman to disregard aspects of our Constitution which they dislike. 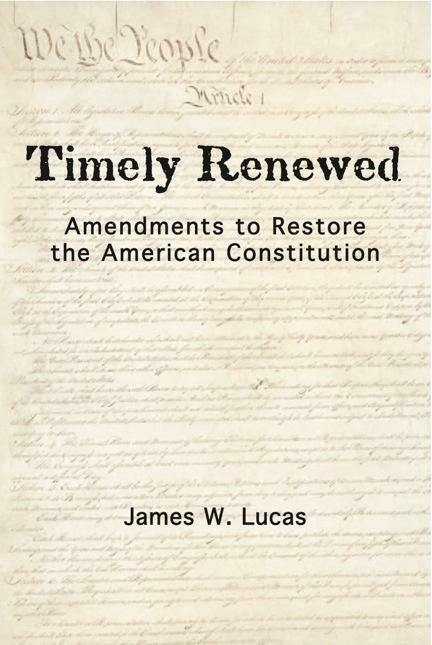 A functioning amendment process might actually let the hoi polloi, such as those nasty Tea Party people or genuine populist progressives, have a voice in our Constitution. They might even ignore wise members of the law school professoriate like Professor Seidman (and Tribe). It might even make the first three words of the Constitution (We The People) more than a poetic rhetorical flourish.